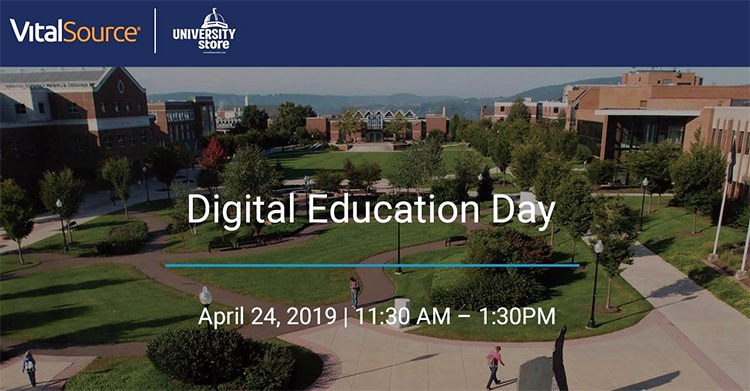 Join us at the Digital Education Day, hosted by the University Store and VitalSource in the KUB Multicultural Center, to learn how day-one access to course materials is helping students save money while offering important insights into student engagement. Amarilis Hidalgo de Jesús, professor of language and cultures, participated in the College Board Spanish CLEP standard-setting study as a juror and writing collaborator for the new Writing Exam rubric, ETS Princeton, N.J. She published the article “Concierto para Leah (Mayra Landa): La metáfora de la muerte de una familia judía” in Descifrando Latinoamérica: género, violencia y testimonio., Universidad Autónoma del Estado de Morelos. She also participated as an external promotion reviewer for a Spanish professor seeking promotion at the Oklahoma State University. Michael Martin, associate professor of English, and Ruth Beerman assistant professor of communication studies at Randolph-Macon College, presented their work "Activism, Persistence, and Identity: Ostomy Selfies as a Form of Resistance to Dominant Body Ideologies" at the Organization for the Study of Communication, Language, and Gender Conference in Lake Tahoe. Their work is forthcoming as a chapter in an edited collection of conference papers. The book will be titled Nevertheless, We Persisted: Living Feminist Politics.